Priyanka Chopra and Nick Jonas’s Wedding Date and Venue are out and I can’t keep calm! Hold your breath as I bring to you, the latest scoop on the most awaited wedding of the year! Yes I am talking about #Nickyanka! If rumours are to be believed, then the couple are getting married way sooner than anyone expected. As reported by me before, the pair are getting married this November itself and the wedding venue is Umaid Bhawan, Rajasthan! It was just a couple of months ago when Priyanka was quoted by InStyle magazine, “I’m writing a book, and planning a wedding.” I guess, the wedding planning must be complete! The report further stated, “The wedding will be preceded by a grand bridal shower, to be held in New York, in October. 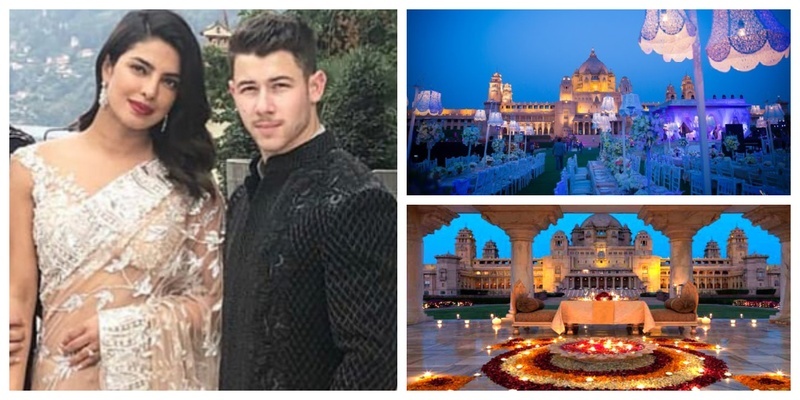 Since lot of Priyanka and Nick’s Hollywood friends are settled in New York, PeeCee is quite excited to have her bridal shower there followed by a grand wedding in Jodhpur”. Meanwhile, according to a People.com report, it is very likely that Priyanka and Nick will tie the knot before Nick’s brother - Joe and the Game of Thrones, Sophie Turner. “Even though Joe’s been engaged longer, it wouldn’t be surprising if Nick got married first,” the report quoted a source as saying. Well well, after the intimate roka and the party after, I really hope for a big-fat Indian wedding from our Desi girl!